The sunny island of Jamaica is the perfect place for a beach holiday, complete with an azure of blue waters and lovely palm lined beaches. Let the Caribbean ease your mind and take your worry away. There is so much room for an adventure in Jamaica! A great plan for relaxation is a holiday of absolutely, no worries. The first step in securing this peace of mind is by booking your airport parking in advance. Reach Falls is a top location to hike across trails to reach unique underground and water filled caves. Here you can explore the fantastic waters of the Caribbean looking down through a glass bottom boat or snorkeling in tropical coral reefs among the crystal waters painted with colorful schools fish. Here in Jamaica, you get a front row seat into wildlife and even a chance to join the show. Travel to the cove to swim dive in and swim with dolphins or the stingrays, if you prefer. Outside the blue ocean waters, explore the high canopies of the forest from the back of a quad. This particular trail is better enjoyed with a local guide, so I recommend hiring your own! Here at Reach falls you get the chance to walk through the waterfall, and even swim out beneath the cave. Add this hike to your early morning to beat the heat and experience the scenery in the peace of solidarity. Seven Mile Beach is a happening spot to stake out your own day at the beach with a cold Red Stripe under the shade of a big umbrella. Here you will find seven miles of sandy beach, where bands of pirates once plundered. The fun activities don’t stop in this hot spot where the beach bars run the land, and warm waters set your soul free. Jump into the ocean for a swim, rent a jet ski or experience parasailing at a great height. For a tasty treat, seek out Jamaica’s local Jerk chicken. This cheap and delicious meal goes down great with an ice cold brew. Escape the tropical heat with a day excursion to the Blue Mountains and hike the trails of this majestic forest. Stop into Mavis Bank Coffee Farm to get a taste some of the world’s finest coffee. This amazing coffee trail tour is an experience I highly recommend when in Jamaica. Along the hike, meet friendly locals and let the eyes wander across serene mountain views and a world of untouched wildlife. Seek out the fantastic flora and fauna of this island, a must see for all travelers. Book an overnight spa date high up in the Strawberry Hill resort to extend your mountain stay. Another location for spectacular views is Negril Cliffs, the perfect spot for a dramatic sunset. The high cliff-face is sure to get the adrenaline pumping, as many of those who visit take the opportunity to leap out over the edge. Negril Cliffs is home to brave cliff-divers and jumpers who delight in free-fall. 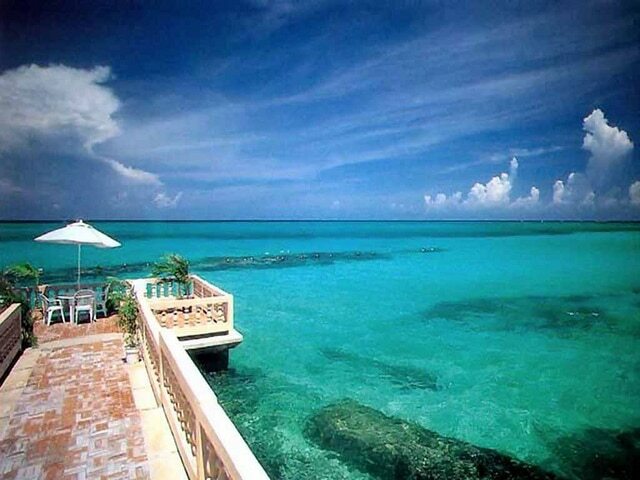 Feel the Jamaican breeze fast on your face and take into the great blue waters below. The cliffs make a perfect spot to get up close and personal with local sea-dwellers. Don’t miss this rare opportunity to spot sea turtles, stingrays, exotic fishes and many crab species. The many fine restaurants along the cliff such as Rick’s Café allow you to drink to the enchanting rays of the sunset amongst the tunes of live music. The west side of Negril Cliffs is a great place to stay in a hotel and enjoy the scenic views of the Caribbean waterfront. Let the golden sands and blue azure take you away to Jamaica!